Les Bichottes is a 15-minute walk from the center of Villers-Allerand. 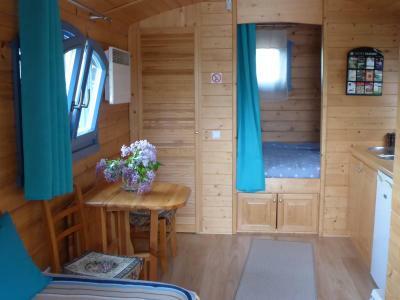 It offers a self-catering, wooden caravan. Guests have free access to the seasonal, outdoor swimming pool, and the terrace and garden are lit up at night. All the accommodations types at Les Bichottes are soundproofed and feature a fan, a seating area and a private bathroom with a shower. 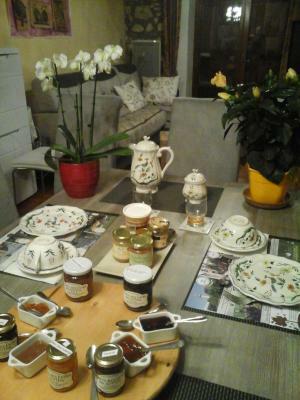 A continental breakfast can be enjoyed on your first morning at Les Bichottes. The caravan offers a kitchen equipped with a microwave, a fridge and a toaster. A coffee machine is also available. 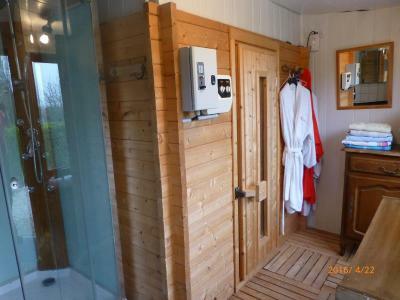 Guests are able to relax in the sauna or multi-jet shower at an extra cost. A shuttle service from the Train Station can also be arranged. When would you like to stay at Les Bichottes? This wooden caravan offers views of the vineyards, a fully equipped kitchen and a private bathroom with a shower. Breakfast is included on the first morning. No extra beds are possible in the caravan. For stays of 1 week, please note that a EUR 200 damages deposit will be requested upon arrival. This may be used to charge for any damages incurred to the accommodations during your stay. The first breakfast is included. 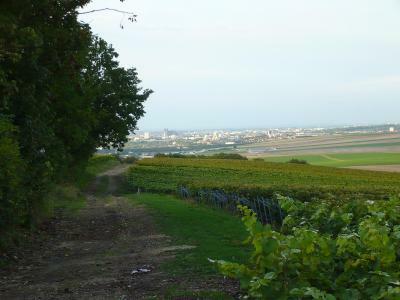 Halfway between Epernay and the wine region of Reims, lie the hamlet ""Les Bichottes"". A space all in wood , a two-person bed, two simple beds, a separate bathroom, A view on vineyards. Terrace, garden with Pool. Sauna. House Rules Les Bichottes takes special requests – add in the next step! The swimming pool is only accessible from the 15 April to 15 September, depending on the weather. We need at least 5 reviews before we can calculate a review score. If you book and review your stay, you can help Les Bichottes meet this goal.